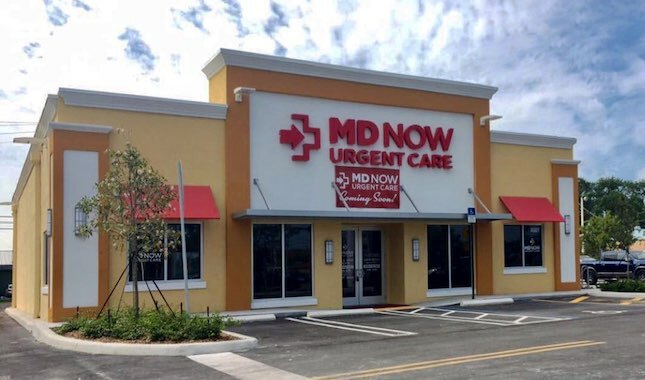 On Saturday, March 25, MD Now opened its latest South Florida urgent care center in the Bird Road area of Miami. With additional openings planned throughout 2017, MD Now further cements its claim as the area’s leading and fastest-growing urgent care provider. The new location at 4001 SW 72nd Avenue, just east of Palmetto Expressway (826) and across from Barnes Park, marks the 26th for MD Now. It will serve patients throughout the surrounding neighborhoods. In addition to conventional urgent care for illnesses and injuries, the new clinic offers state-of-the-art healthcare services, including EKGs, digital X-rays, lab tests, drug screenings, and occupational medicine. Like all MD Now Urgent Care centers, the new Bird Road location will provide local residents with fast, convenient access to these advanced medical services at costs that are typically much lower than those of a hospital-affiliated ER or urgent care center. MD Now has become known for its fast, efficient, and affordable treatment of both adults and children with no appointment necessary. In most cases, the urgent care provider also offers a much shorter wait time than the typical hospital ER. Wait times should show even greater improvement throughout 2017, as new MD Now locations provide greater patient access. All MD Now Urgent Care Centers strive to treat patients within 60 minutes or less. The Bird Road location will be no exception, providing immediate care for colds, allergic reactions, cuts, burns, broken bones, dislocations, sprains, strains, and many other common, urgent medical concerns. All treatment is provided on site at one convenient location.